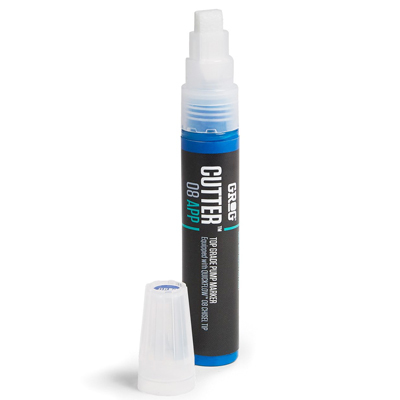 Grog's Cutter 15 XFP paint marker is the missing link between the younger brother Cutter 08 and the elder brother Cutter 30. 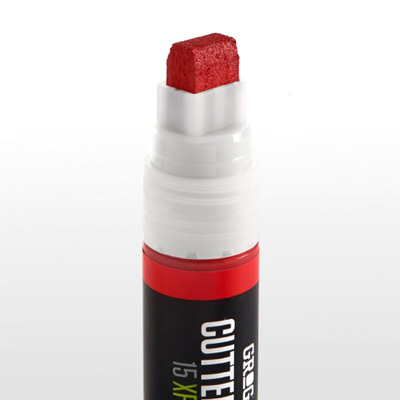 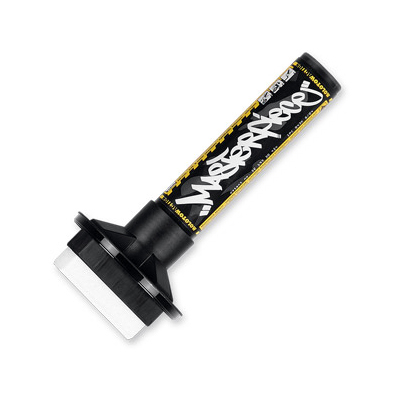 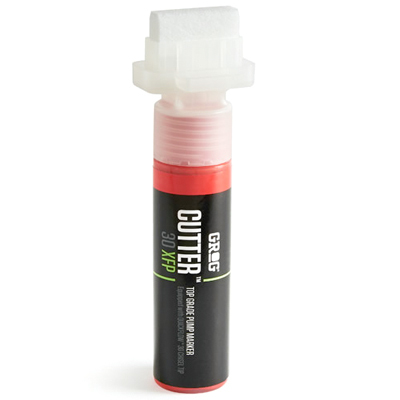 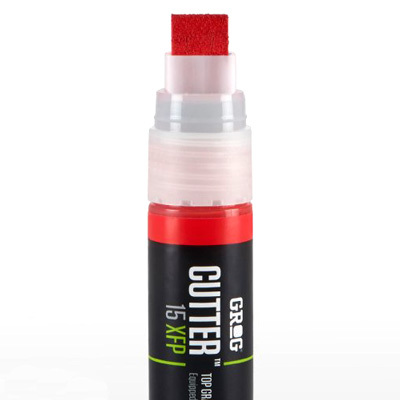 The GROG Cutter XFP Marker 15mm is a classic sized tag marker, filled with Grog's stunning Xtra Flow Paint, the body is made of strong plastic, it's equipped with an 15 mm polyester Quickflow tip and an anti-drip closure cap. 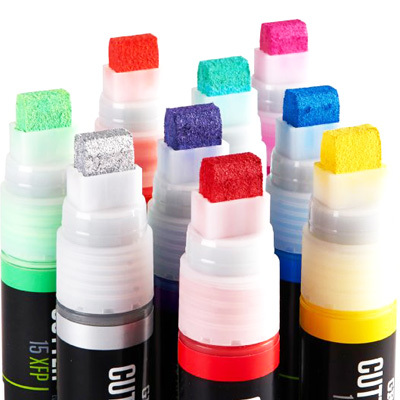 It's easy refillable with the XFP paint refills. 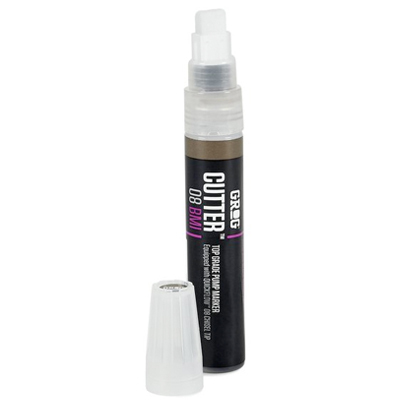 A super classic for any tagging lover, perfectly sized for bringing it always in your pocket and refillable on and on! 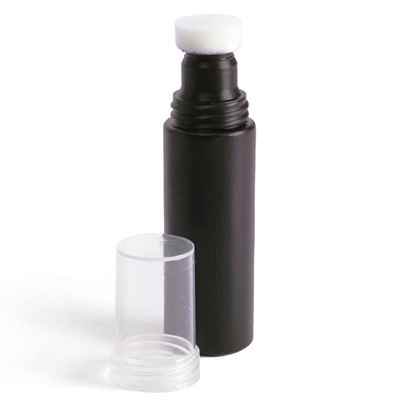 Refillable, alcohol-based XFP paint with glossy finish, exchangable 15mm Grog Quickflow Tip. 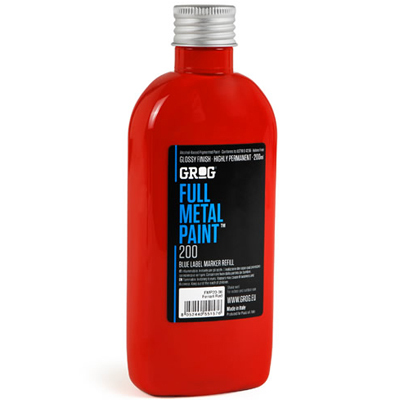 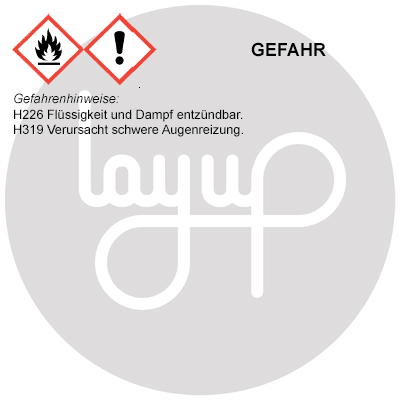 Available in 13 standard color shades, two fluorescent colors and silver chrome.